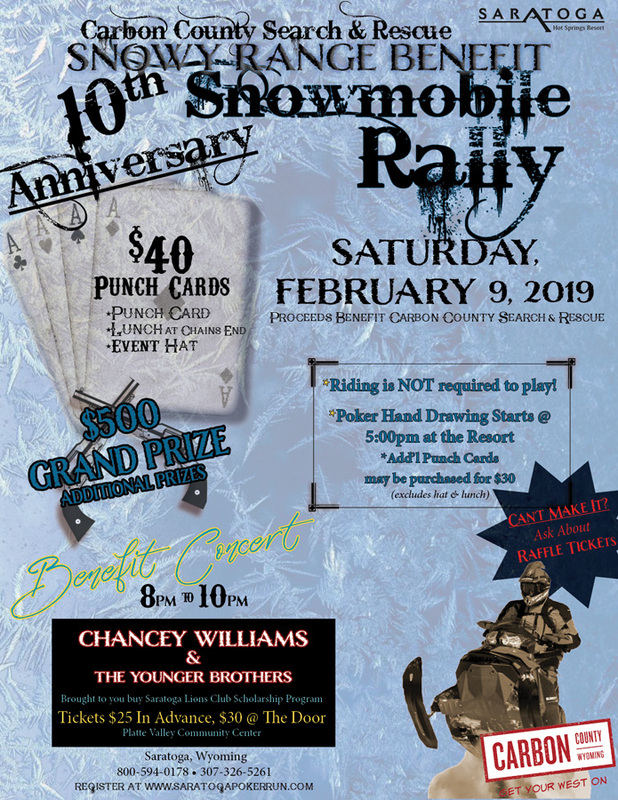 Have you made your plans for the 10th Annual Snowmobile Rally benefiting the Carbon County Search & Rescue – hosted by the Saratoga Hot Springs Resort! We are just one week away from this awesome event – act now so you don’t miss out! Each year it has grown, and typically sells out for both snowmobile rental and lodging. Be sure to secure lodging, snowmobiles and spa services for this annual winter event!